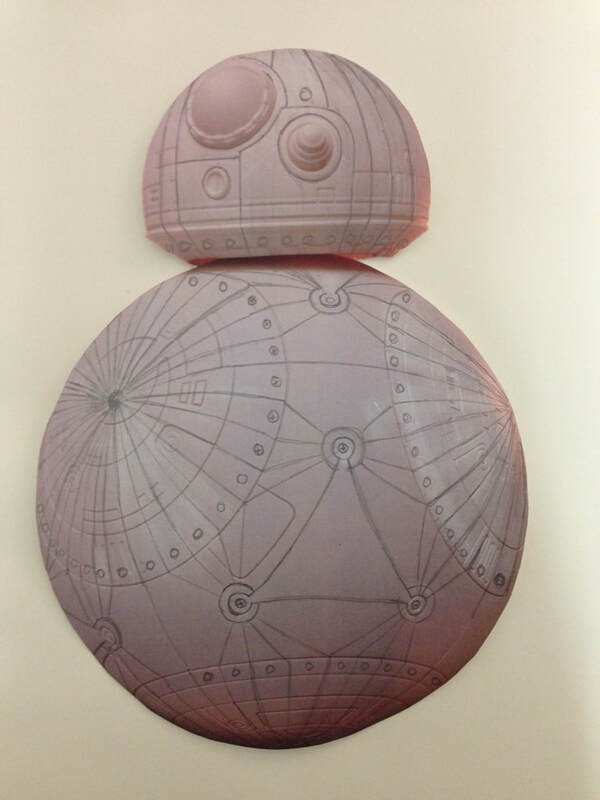 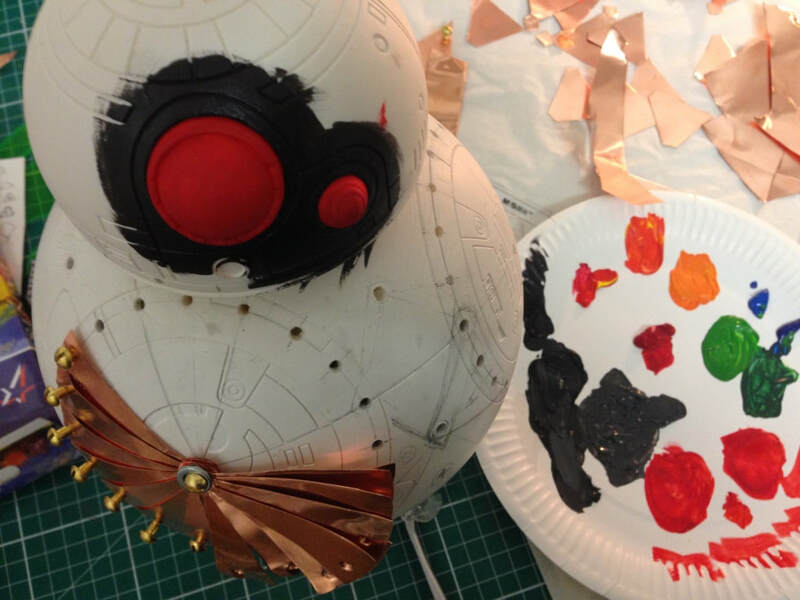 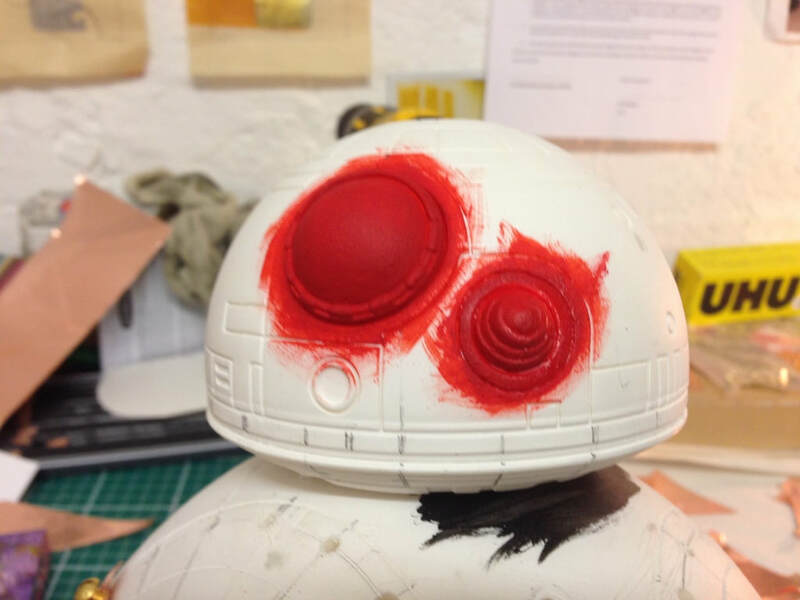 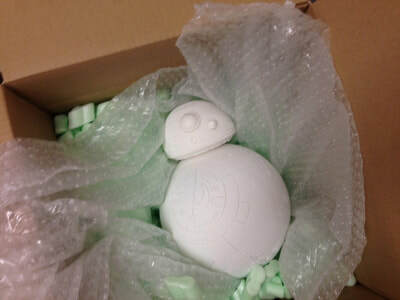 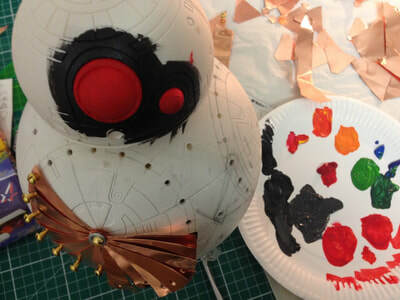 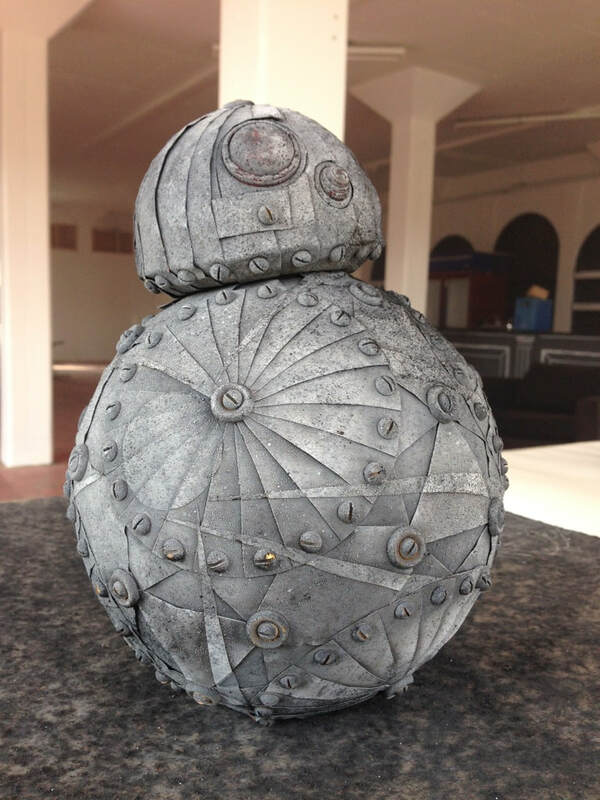 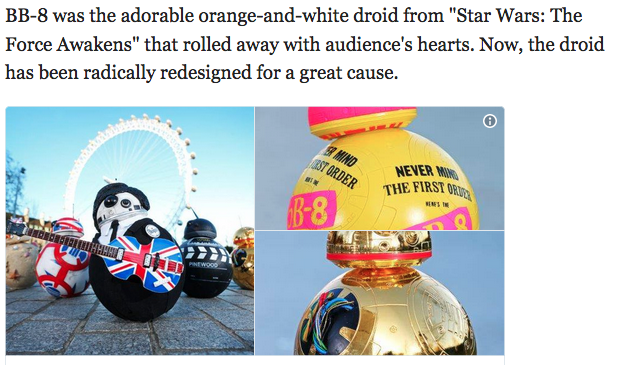 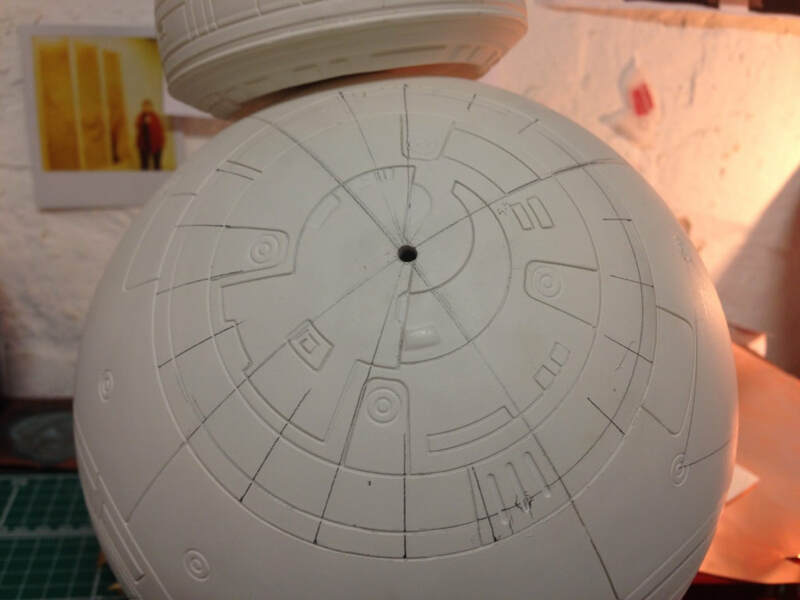 Aoife van Linden Tol, alongside a selection of artists and celebrities, including members of the Star Wars: The Force Awakens cast, were commissioned by Disney and Lucas Film to design a limited edition model Star Wars BB-8 robot which was auctioned off for charity. 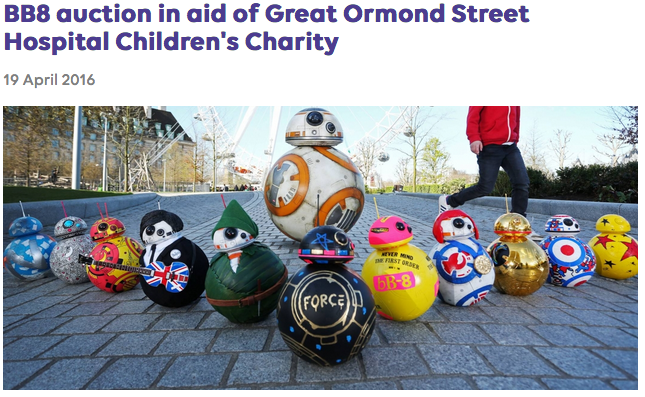 100% of the proceeds went to Force for Change charity benefiting Great Ormond St Hospital. 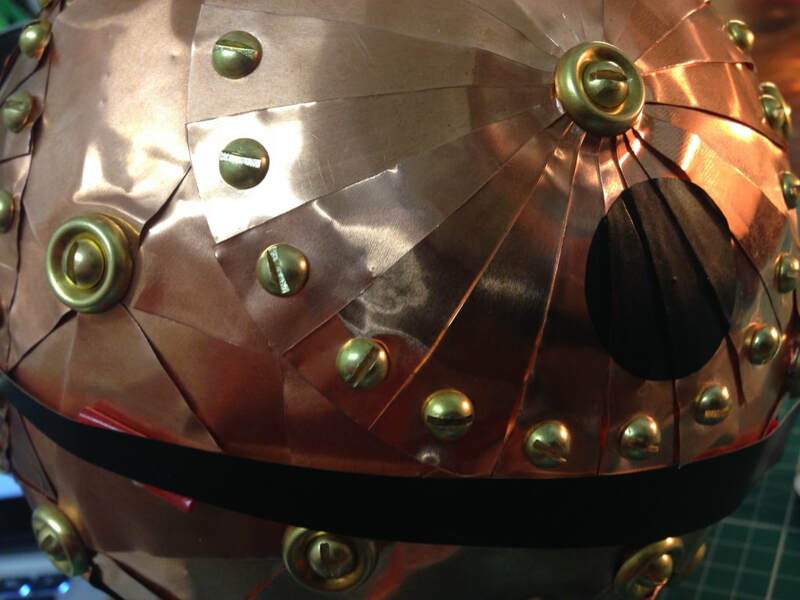 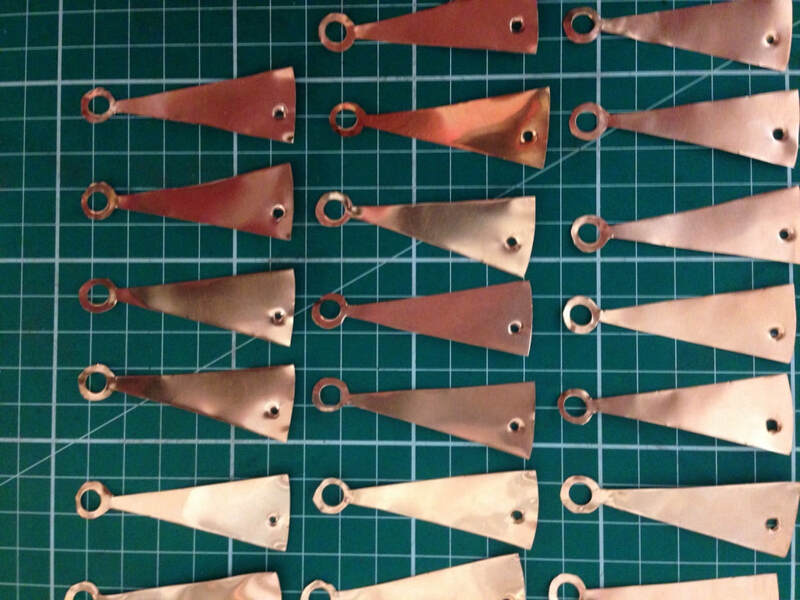 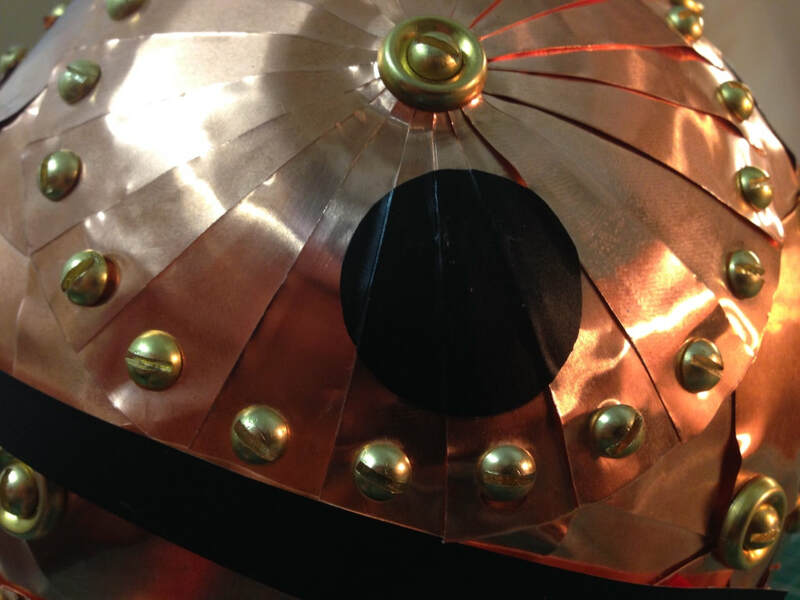 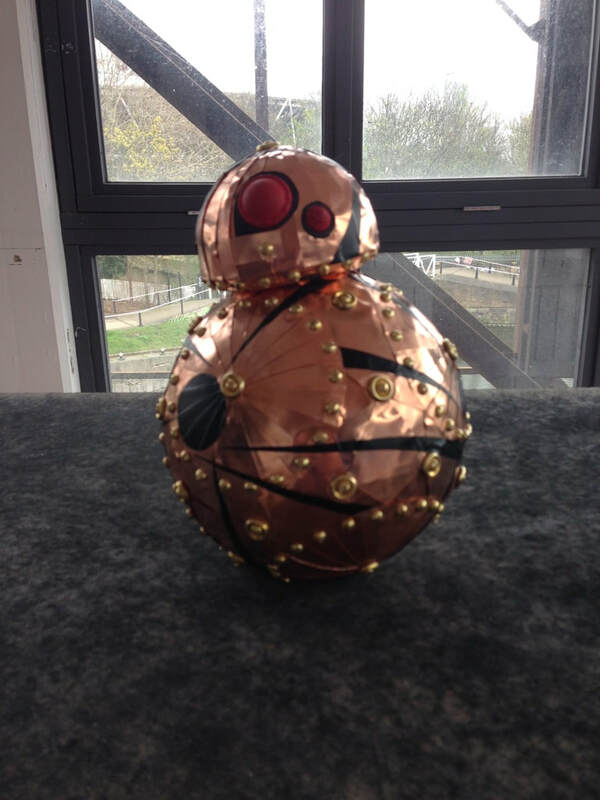 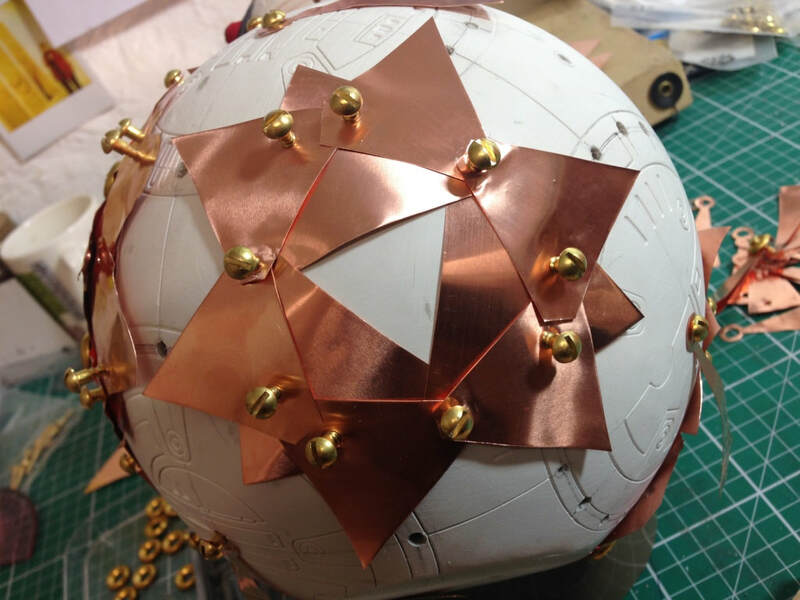 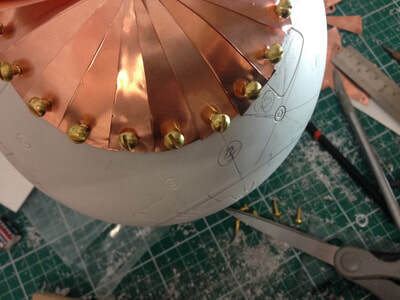 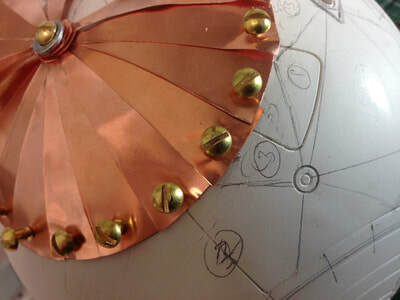 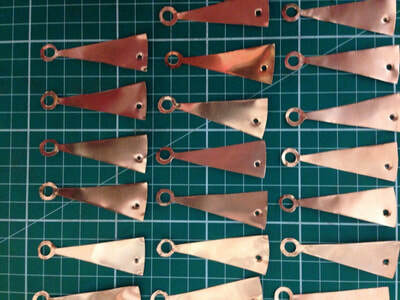 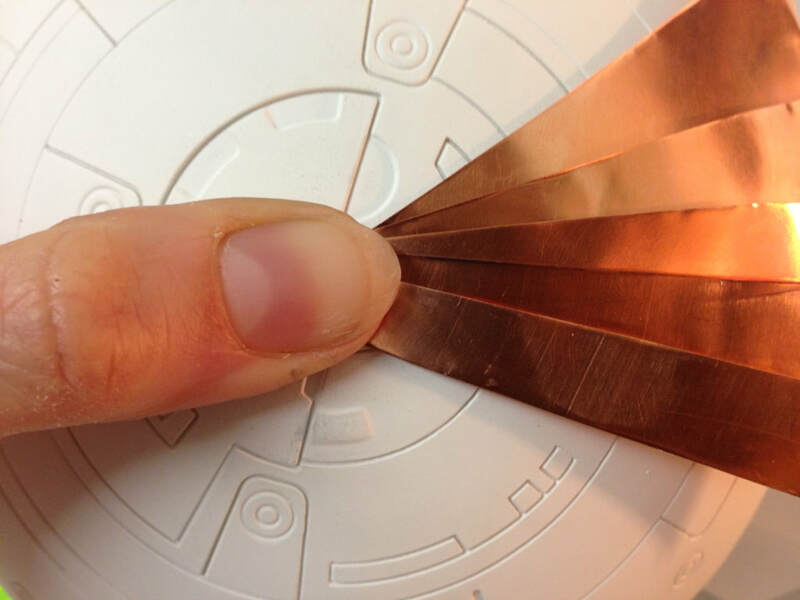 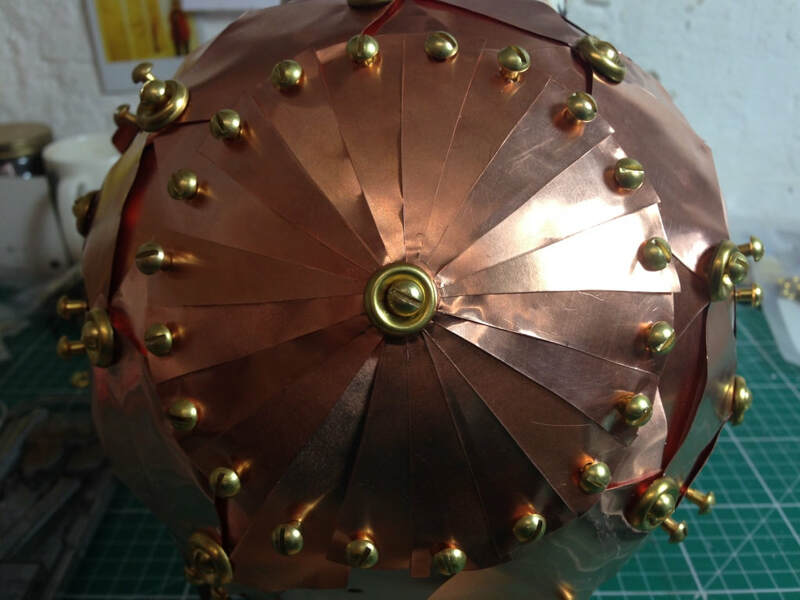 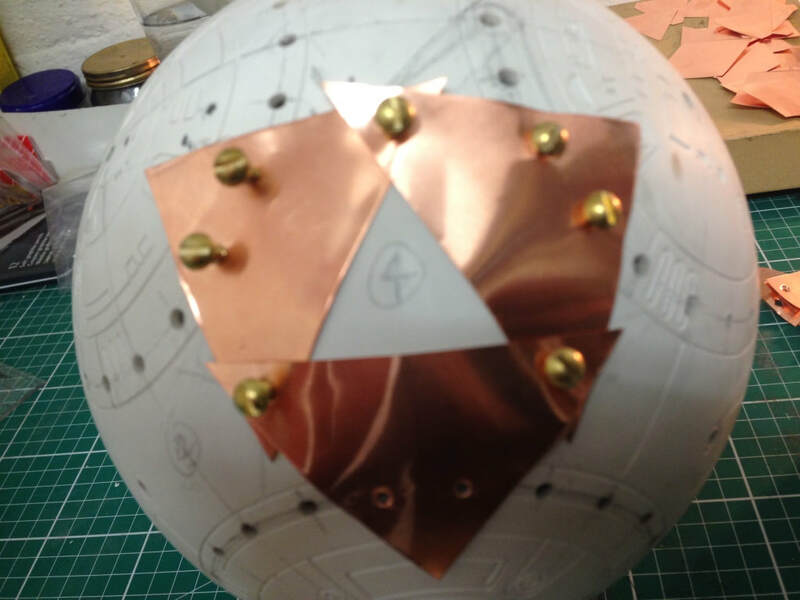 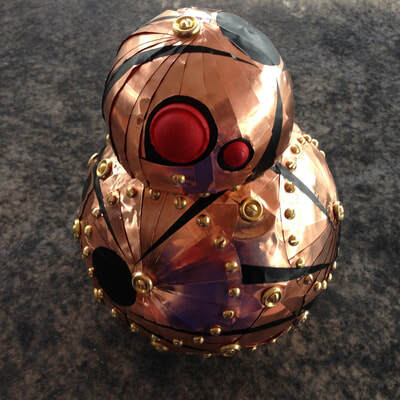 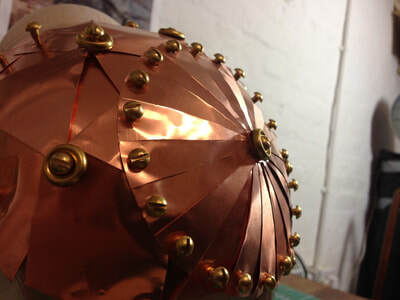 Aoife van Linden Tol's mathematical design was calculated using the original BB8 features and consists of an armour made from over 200 brass screws and over 300 hand cut layers of copper sheet. 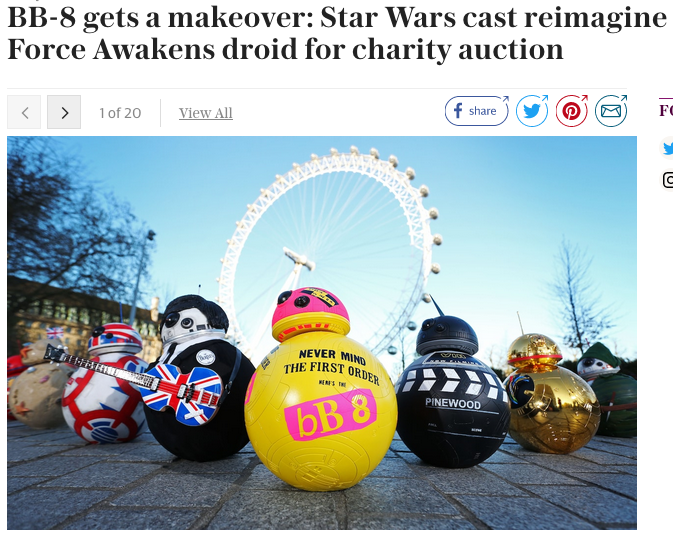 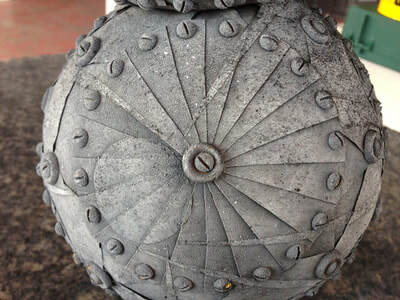 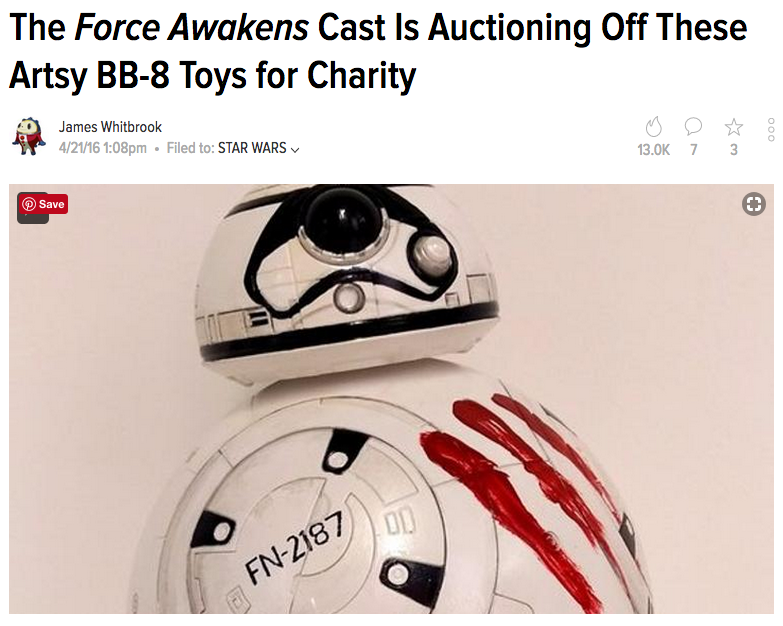 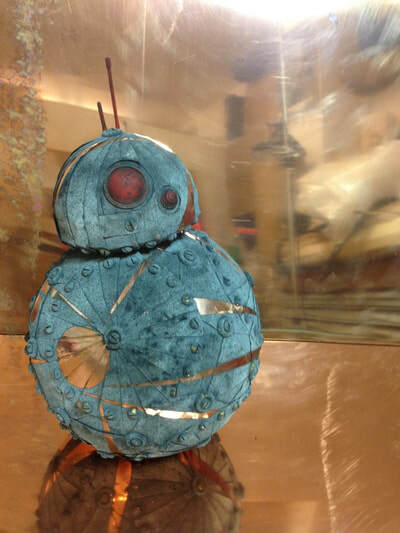 The BB-8 was then be exploded with gunpowder in a design evoking stars and light. 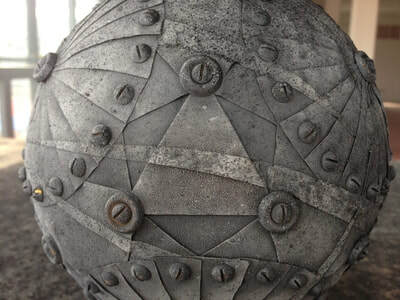 As the scorched surface oxidises it creates a galactic effect of charcoal black, green and blue which looks like outer space. 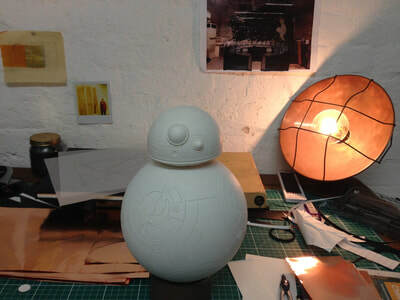 From Greenwich Observatory to a UK designed rover heading to MARS this year, this BB-8 is a celebration of Great Britain’s history of astronomical and cosmological discovery. 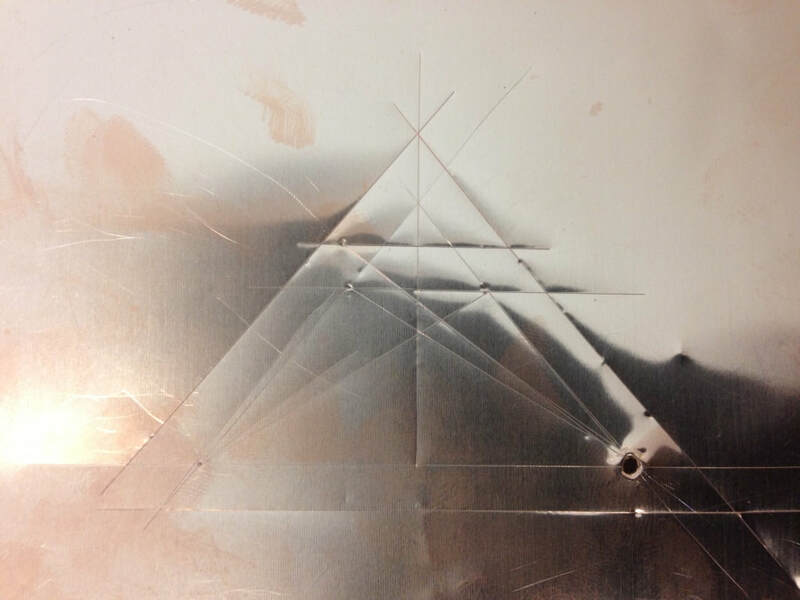 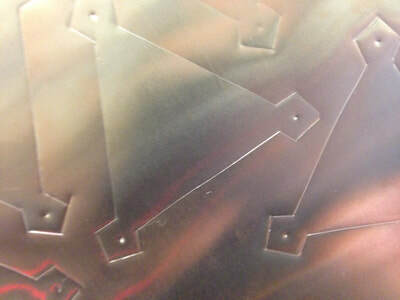 This in turn relates to Star Wars as an image of the future following human space exploration and migration.